Depending on your portable power needs and propensity for lower-back pain, the Omni Ultimate is either a godsend or something wholly ridiculous. The new power pack from L.A.-based Omnicharge has certainly charged up its fans, however, having raised north of $1 million on Indiegogo — nearly 2,000 percent of its initial goal. The Ultimate appears to live up to its name, with a 40,300 mAh battery that’s swappable, so you’re never out of juice. It’s got an AC outlet, two full-size USB ports, one USB-C and DC in/out. It’s also, as you’d expect, a downright beast of thing and could probably serve as a weapon in a pinch. Fittingly, you probably won’t be able to take it on a plane with with you. It’s not cheap, either, at $350 for early backers and $399 for those who pick it up, standard retail. The extra batteries, meanwhile, run $150 a pop. It’s shipping now for early backers and could be a lifesaver for long outdoorsy trips. 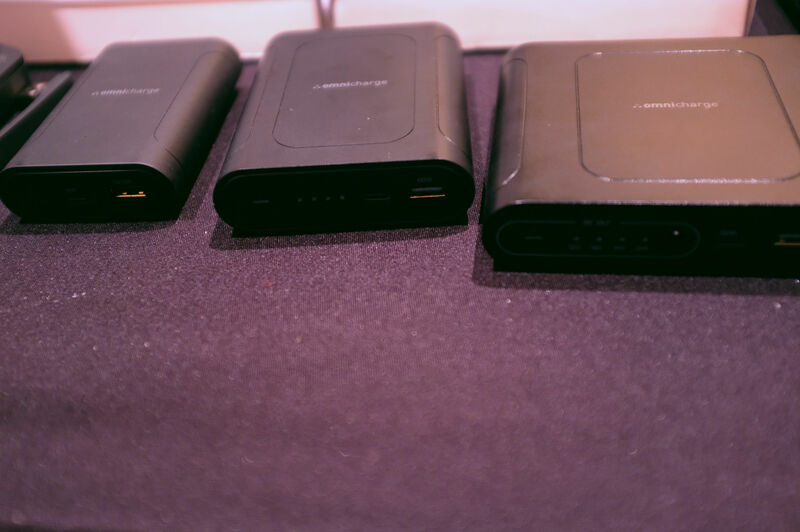 The company’s also releasing a trio of far more portable OmniMobile chargers ranging from 3,000 to 26,800 mAh, the latter of which is the upper threshold for flights here in the States. There’s also a Pro mobile that sports Wireless charging. Those hit Indiegogo later this month and will start shipping in March. OmniCharge is also bringing wireless and USB C to its flagship Omni 20 in mid-February.